With Collaborative Divorce, couples no longer need a shark. Collaborative Divorce is relatively new, moving across North America, Europe, and Australia, leaving well adjusted children and cooperative co-parents in its wake. Collaborative Divorce is client-centered and client-controlled. Rather than the secrecy of typical divorces, here parents and the two attorneys have “four-way” meetings, where information is openly shared. Parents sign an agreement they will not go to court; they will settle disputes between themselves. The goal is for the marriage to end and the kids to be well cared for – at the time of the divorce and far into the future. The success of this type of divorce is attributed to the team of professionals working with the family: the attorneys, one or two mental health coaches for the parents and there may be a child specialist, and a financial expert. Coaches help parents separate out their feelings enough to be able to communicate around the hot topics of children, finances, property. Difficult issues are settled without a nastiness that otherwise infects the post-marriage relationship. “Yea, only if you are a saint and weren’t so badly hurt by your spouse,” say the doubtful. “Why did you decide on a Collaborative Divorce?” I ask. “I don’t want to make things horrible for our kids. They’re having a hard enough time as it is.” He opens and closes his fist as he talks. “Nothing is going to make me feel better about what Cary did to me. And frankly, I worry this coach stuff is going to cost too much. Of course, Evan needs to share his feelings about the betrayal. I’m his coach, though, not his therapist. He needs to separate his anger, hurt, and desire for revenge from the task of making joint decisions about his children. Coaches help parents improve their method of communication which leads to less difficulty in their decision-making. Working with the coaches can move the divorce process ahead and save time in the attorney’s office. Evan and I meet two more times, as he shares his feelings and prepares for the 4-way meeting with Cary and her coach. The biggest issue, he believes, will be custody. He wants full custody. I ask him to imagine how she will respond when he tells her that. He mimics a sarcastic response. He immediately tosses back what would be his own sarcastic retort. We discuss more beneficial responses, since he doesn’t want his children to remember this divorce with horror. My job, as his coach, is not to make him change his mind about what he wants to offer. Nor is it to make him feel better about the divorce or his betraying wife. My job is to help him negotiate what he wants in the divorce in a way that will be effective and respectful. With me, he doesn’t get over his hurt and anger at Cary; he just has to be able to put it in some place that doesn’t interfere with how they communicate during the divorce process – and afterwards. To help him deal with the hurt and anger and other feelings he has about Cary and the divorce, I recommend he see a therapist. He rejects the idea. We did that. The 4-way meetings went better than he had anticipated. 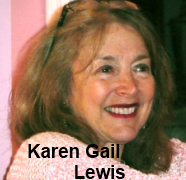 Dr. Karen Gail Lewis has been a marriage and family therapist for more than 42 years. She has offices in Cincinnati, Ohio and Washington, DC. She also runs UNIQUE RETREATS FOR WOMEN, that includes women who are divorced or are considering it. Other areas of specialization are adult siblings and mid-life singles. She is author of numerous books, including Why Don’t You Understand: A Gender Relationship Dictionary. For more information, she can be contacted at 301-585-5814 or DrKarenGailLewis.com. I really enjoyed your excellent article and look forward to sharing it with clients. I think you did a particularly nice job of illustrating some of the differences between coaching and therapy.